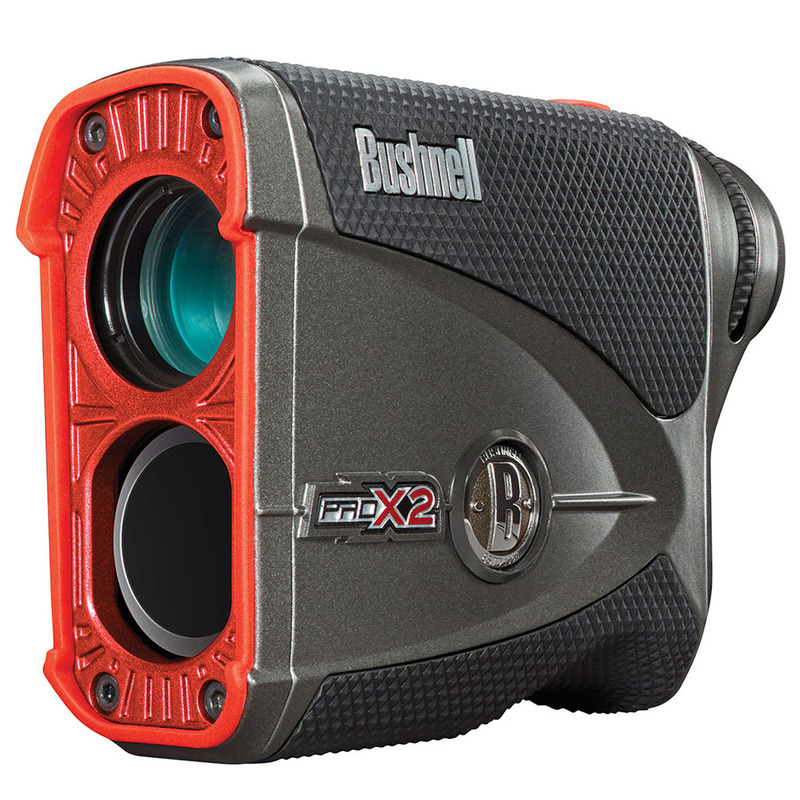 Bushnell have packed all of their industry-leading innovations offering you all the best features that can be found on a rangefinder. Dual Display Technology allows you to easily switch between bright red vivid display or a sharp black display based on lighting conditions or personal preference. Thanks to the Slope-Switch technology, this device lets you simply toggle in and out of our patented Slope function. 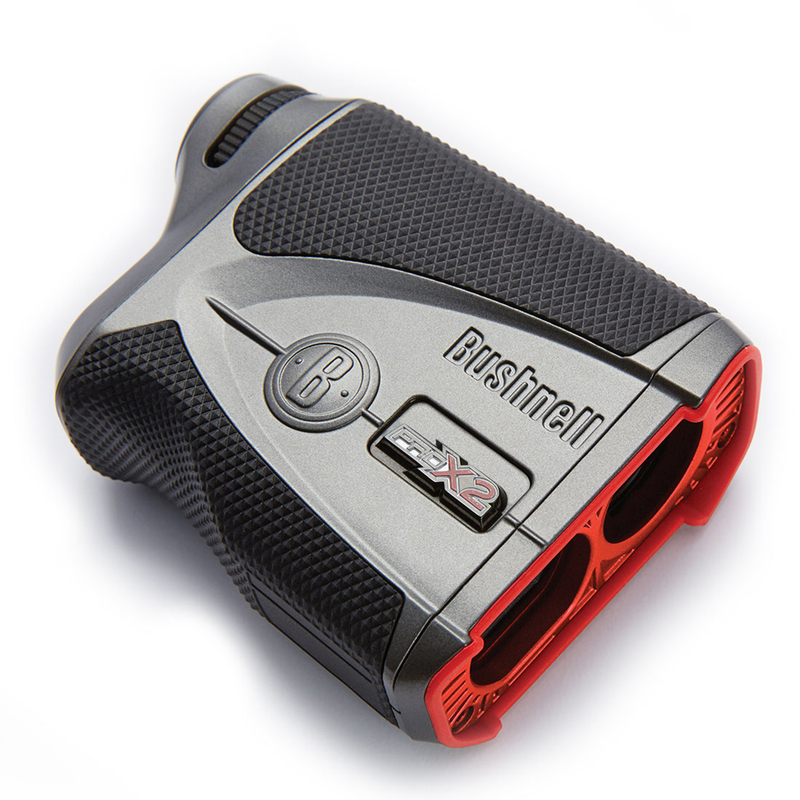 This allows you to conveniently utilize Slope to get compensated distances around the course when practising and have a USGA conforming device that is legal competition play. Ensuring that you hit the flag every time is the Pinseeker with Jolt Technology. This provides short vibrating pulses to give a tactile confirmation that the laser has locked onto the flag. Slope compensation calculates and adjusts yardage depending on the degree of slope offering you a better judgement on what club to play. Other Key features include a rubber armoured metal housing combined with IPX7 (Fully Waterproof) for incredible durability. The 6X Magnification helps make a bigger clearer picture for you to find your distances. The design is finished with Stable Finish Technology which helps keep the device steady and comes complete with 2 year warranty.